Oh that is just darling! Thank you for the inspiration! Glad you are back to your machine. So beautiful !!!!! I love it !!!! So cute! Maybe not so rusty, your projects are so pretty! Very Sweet Nanette! I hope this means that your back is feeling better and that you'll soon be back at it full steam ahead. You've been missed!!! 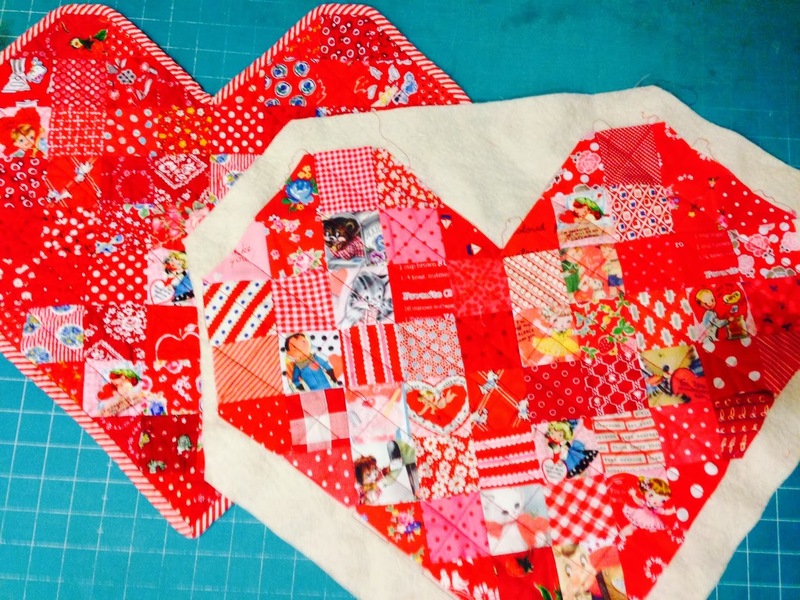 This is so cute... you have inspired me to get busy.. now I just need to get back to my sewing room! Such a cute heart. I love the binding. Isn't it strange to be out of practice with sewing? I finally got behind my sewing machine, but it felt awkward at first. I want to quilt a top. That should be interesting. Glad you're feeling well enough to get back though. I think that little bit of rustiness will fade very quickly! 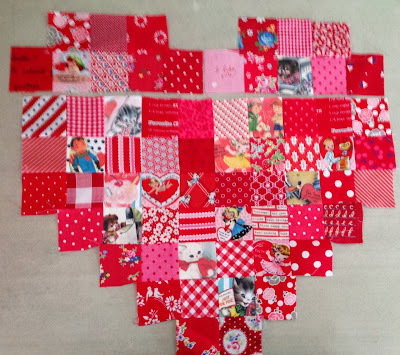 The heart is so darling... what a great gift for Valentine's Day. Good for you! That will be darling! so glad you are feeling somewhat better :) such therapy to be back at your machine, and that heart is darling. of course, you know i love everything you make. sweet and the fabrics are perfect for your heart. I just love hearts, and yours is just gorgeous. The fabrics are so sweet my dear. Nanette, only YOU would make a perfect little piece like that and then say you are rusty! It is gorgeous. Really. Glad to see you back doing what you love. This is really sweet. I should stitch one up to use on my kitchen island. 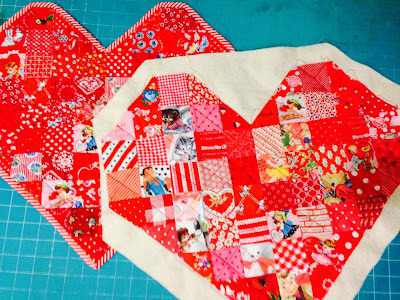 You always do the sweetest projects and quilts! I'm glad you are feeling up to some sewing now. The heart is really cute. I'm sure your friend will enjoy it.